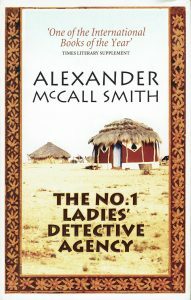 Byron Writers’ Festival is delighted to invite you along to a special evening with the creator of The No.1 Ladies’ Detective Agency and author of over 100 books, Alexander McCall Smith. Hear first-hand about the people, places and events that have inspired one of the world’s most prolific and most popular writers. Alexander McCall Smith will appear in conversation with Professor William MacNeil. Tickets are now available. Visit the Byron Writers’ Festival website for details. Byron Writers’ Festival is the central hub to the Northern Rivers’ active, vibrant literary culture of reading and writing. Our primary purpose is to create and deliver programs that involve and enrich professional, amateur and aspiring writers (and readers) of all ages. Our mission is to promote literature (particularly Australian), enhance the skills of writers, and foster a culture of reading and writing among all age groups in the Northern Rivers and beyond. Please note that this event is run by the Byron Writers’ Festival and the Alexander McCall Smith web team have no control over content or delivery.